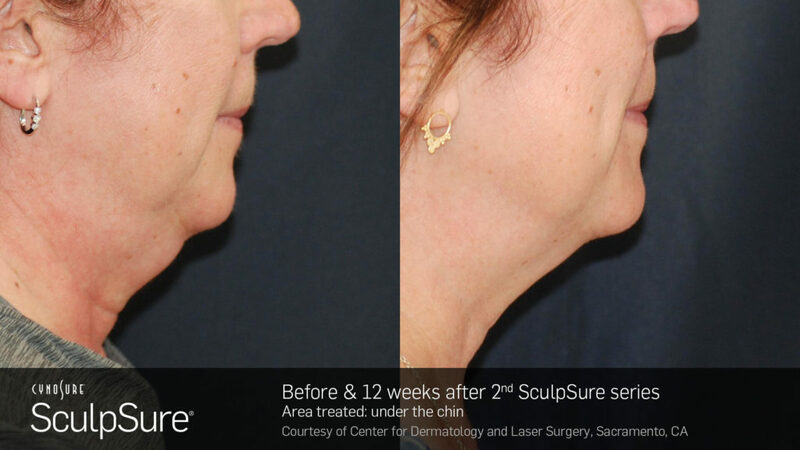 Sculpsure is an FDA-cleared treatment that's uses safe and effective body contouring technology. Sculpsure is customizable and can be used to treat a variety of areas as shown as in the Treatment Areas diagram. 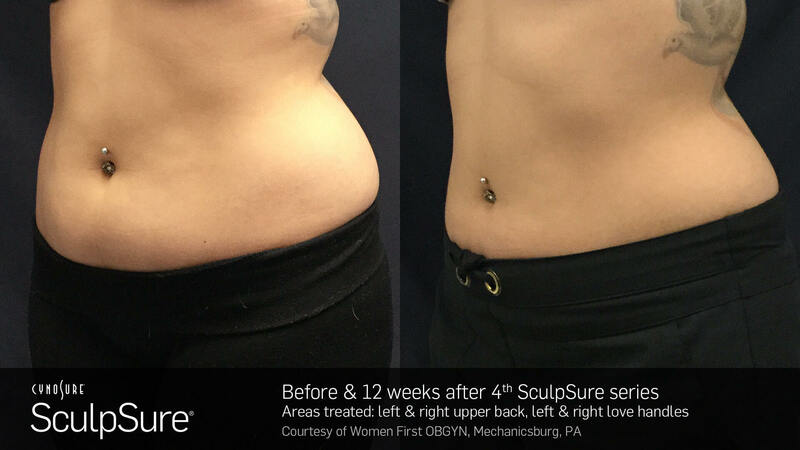 Sculpsure works quickly. Each 25 minute procedure can destroy up to 24% of treated fat cells without surgery. Are you unable to take time off for your recovery? No worries. 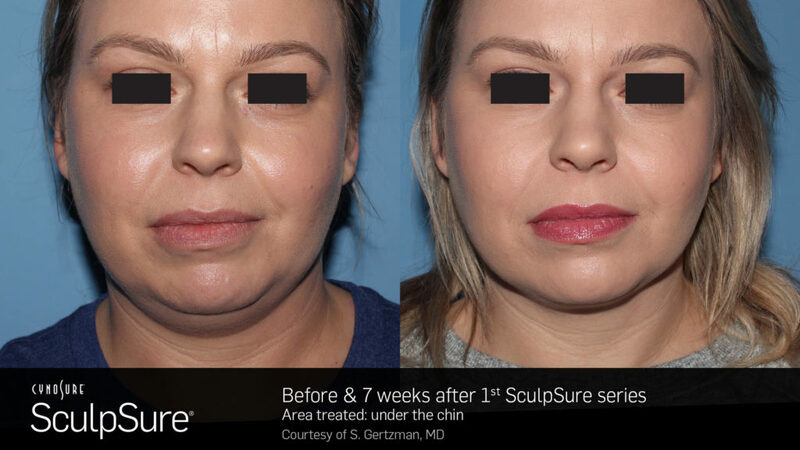 Sculpsure doesn't require any downtime. 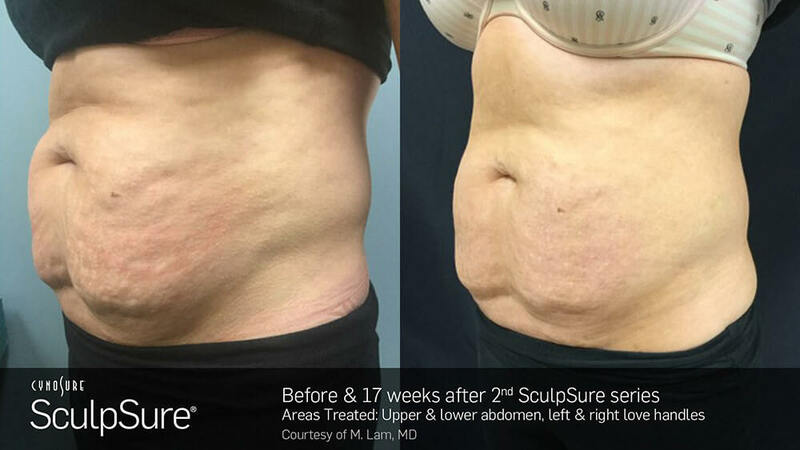 Sculpsure is non-invasive and relies on the use of advanced laser technology for body contouring. Sculpsure boasts an over 90% patient satisfaction rate so chances are you'll be quite satisfied with your results. SculpSure body contouring is a is a non-invasive treatment for the reduction of stubborn fat. 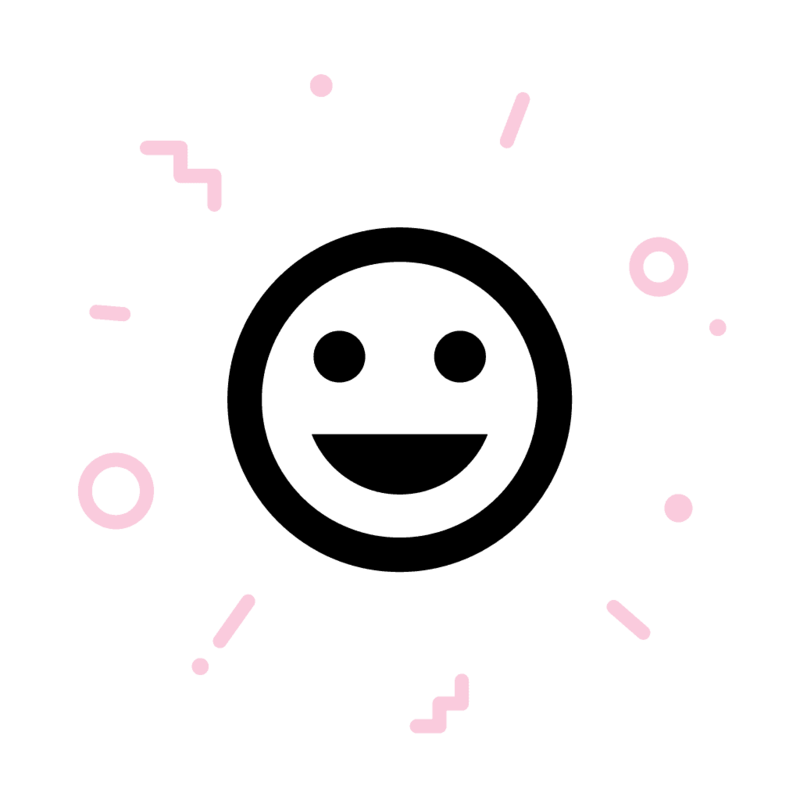 Each 25 minute treatment can destroy up to 24% of treated fat cells without surgery. Is SculpSure body contouring right for me? 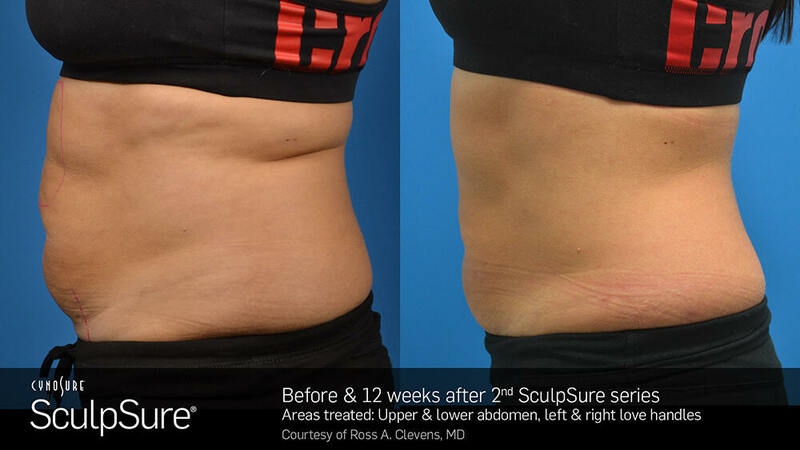 SculpSure treatments are ideal for people with trouble spots, particularly those that seem resistant to diet and exercise. A with a SculpSure treatment there is absolutely no downtime which allows you to resume your daily activities right away. Make it back to work for that post-lunch meeting, never miss a yoga class, hit the slopes or head to the beach. Nothing’s stopping you!